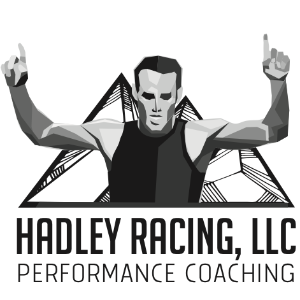 Hadley Racing, LLC is a high performance coaching company which trains clients ranging from all abilities and ages with a focus to help others improve their life, athletic performance, health and well-being. Hadley Racing primarily concentrates on swimming, biking and running to enhance fitness and performance. Whether or not you choose to compete in races, or simply train to accomplish your own personal goals, Hadley Racing welcomes you. Originally from England, UK - Hadley Racing owner and Head Coach James Hadley has been an athlete for 28 years. He progressed quickly through years of hard work and dedication to race as a professional triathlete internationally for 11 of these years. During this time James has been taught by some of the best coaches in the world, whilst also training/racing alongside some of the all time great athletes triathlon has ever produced. James sets his training programs personally and individually via Training Peaks each week in order to help every client attain the absolute best out of their training. "Although I am somewhat 'old school' in my approach to getting the hard work done, I set, monitor and assess each session based off HR and bike watts analyses with the Training Peaks program. All Hadley Racing schedules have been collected and devised by me throughout many years of my own personal first hand experience. I like to enable full time contact via cell phone or email so minor adjustments can be made at any time to help improve my clients training experience with me." Success. Coach James Hadley has been notified of your message.